Bodega Contador began in 1995 when Benjamin Romeo, winemaker and grower, acquired a centuries-old cave carved into the rock beneath the Castle of San Vicente de la Sonsierra, located at the foot of the Sierra Cantabria mountain range in La Rioja Alta, west of Rioja Álava. In 1996, Benjamin made the first vintage of his "La Cueva del Contador" wine and started to buy vineyards for his plan to become a "bodeguero"--a wine producer. Benjamin was the winemaker at Aratadi from 1985 to 2000, where he was able to apply his skill and continue to hone his craft. In 1999, he made the first vintage of "Contador" from vineyards he acquired. In 2000, after seeing these first wines favorably received by the market and press, Benjamin dedicated himself full time to his personal project. Robert Parker's Wine Advocate awarded 100 points to the 2004 and 2005 vintages of Contador made in his parents' garage. 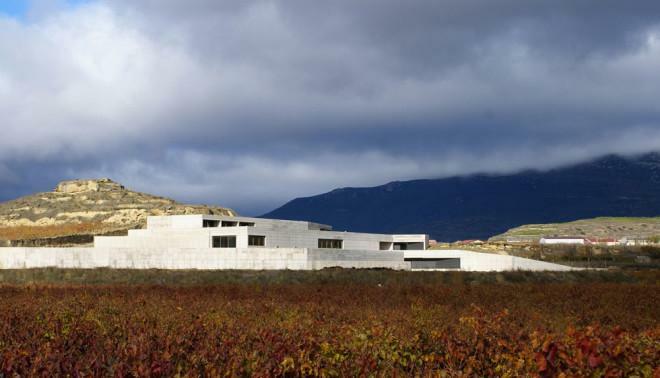 In collaboration with the architect Hector Herrera, Benjamin designed and opened a new winery in June 2008, to coincide with the summer solstice. The three floors or terraces mirror the original slopes of the site where it is located, enabling both fruit and wine to be moved by gravity. Wine Advocate 95 "The 2009 La Cueva de Contador is sourced from declassified Contador fruit: pure Tempranillo cropped at 1.2kg per vine that is aged in new French oak for 18 months. Its name is derived from the ancient caves under San Vicente de la Sonsierra castle where the old cellar is located.